The Original Circle Kitchen Concept is a high-tech smart kitchen designed for city living. It is essentially a room within a room. 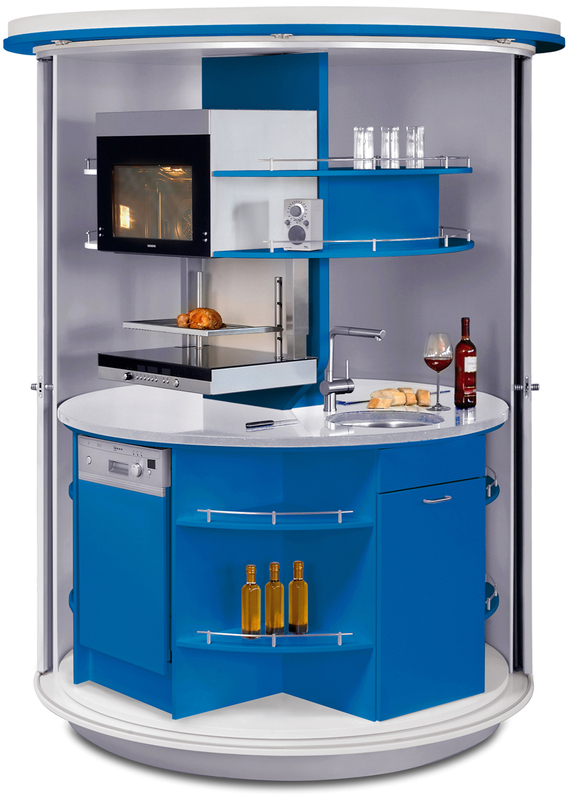 This mini kitchen can be placed in any apartment, hotel room, vacation home or office. The futuristic 180° revolving circle kitchen has all the features of a traditional kitchen in a compact space saving design. The Ekokook Water and Waste Management System by Faltazi is a futuristic kitchen that reduces your ecological footprint. 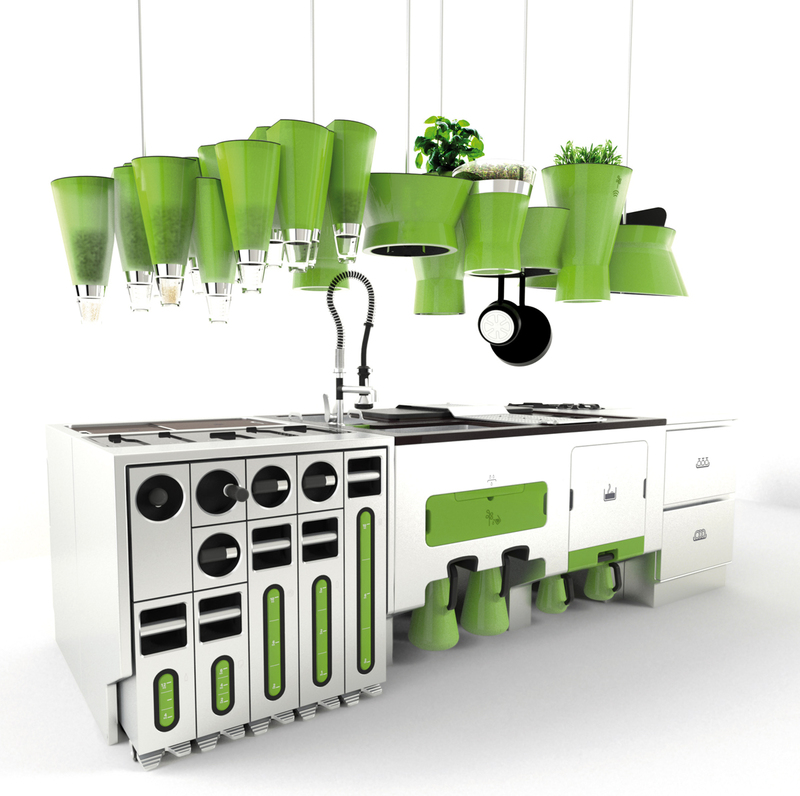 This very sleek looking kitchen turns waste into a new resource and each drop of water into reusable liquid. Ekokook has three micro-plant systems: microplant 1 is for solid wastes, microplant 2 is for liquid wastes and microplant 3 is for organic wastes. The kitchen also has machines that break glass for the reduction of waste, a shredder to shred paper, and an endless screw to crush cans and water bottles. You can also recycle clean water for watering flowers and plants. This eco-friendly kitchen is good for the environment while providing elegant contemporary kitchen design for your home.